Following the revolutionary cushions, Korean makeup brands are releasing another advanced version of cushion, which is tension or tension pact. Tension is currently such a huge hit in Korea but I think it's less popular in Indonesia. However, which one works better than the other? 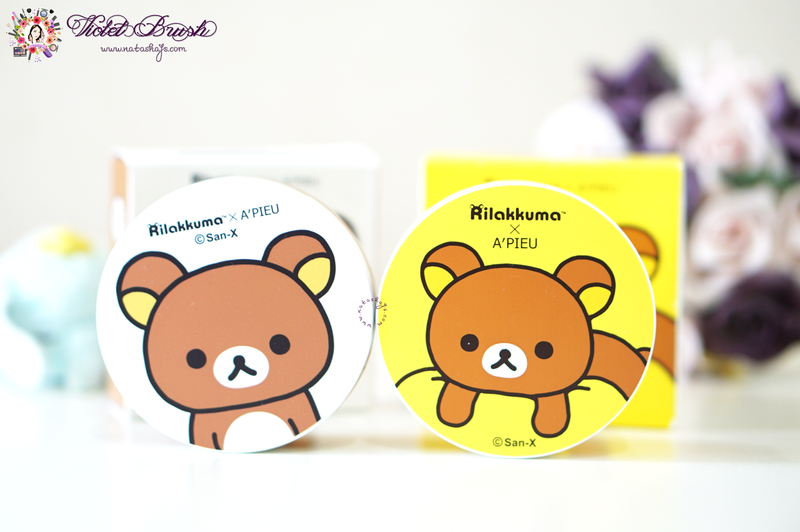 I got the Rilakkuma edition of A'Pieu's Air Fit Tension Pack and Air Fit Cushion XP and tried both at the same time. Which one works better on my skin? Find out below! 1. Tight tension mesh net, a delicate one-touch! Composed of more than 3500 tiny fine hole mesh net, it gives even and light application. The moist tension formula adheres well unto the skin and gives smooth-looking skin without shine for a long time. Even with great coverage, it gives clear skin without heavy-feeling, stuffiness, or darkening. 4. It's also safe for sensitive skin! Contains aloe vera and tea tree extracts, it can be used for sensitive skin without worry. Double Layer Powder covers skin's unevenness and blemishes for smooth and perfect skin. Contains Bulgarian mountains Da Mask rose water instead of regular water, it gives gorgeous and clear skin like flower petals. The latex polymer network prevents messy makeup and enhances the lasting power of your makeup. Skin-fitting Powder that has similar structure with the skin, is attached to the skin and keep the makeup in place for a long time. Contains marine collagen which is close to the skin and 17 amino acids which are the main component of NMF, giving the skin elasticity and comfort. 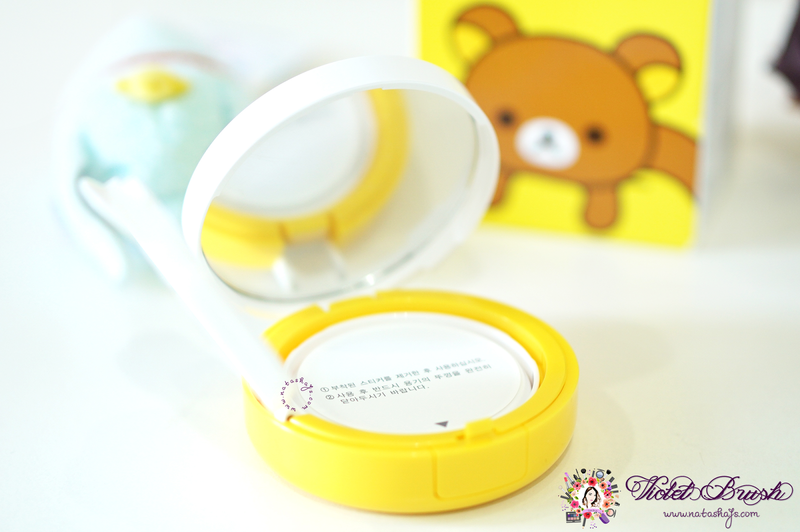 A'Pieu x Rilakkuma Air Fit Tension Pact comes in a compact case, similar to any other cushions on the market but slightly thinner. There's nothing much to say about the compact case because simply, there's nothing special or much different from other cushion cases. Only, it has cute Rilakkuma printed on the cap and on the box, which could be a real bad temptation for Rilakkuma addict like myself. 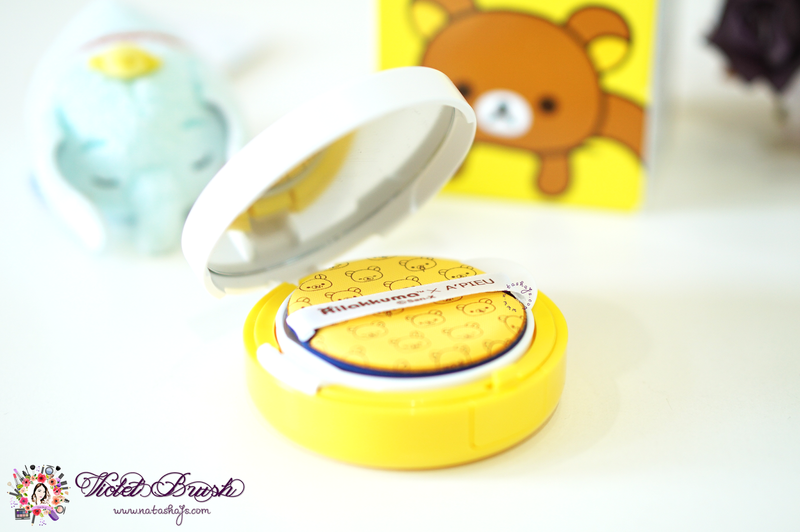 Unlike A'Pieu x Rilakkuma Air Fit Tension Pact, A'Pieu x Rilakkuma Air Fit Cushion XP is sold in set with an extra refill and extra Air in Puff (take note that A'Pieu cushion refills don't include a refill Air in Puff inside). 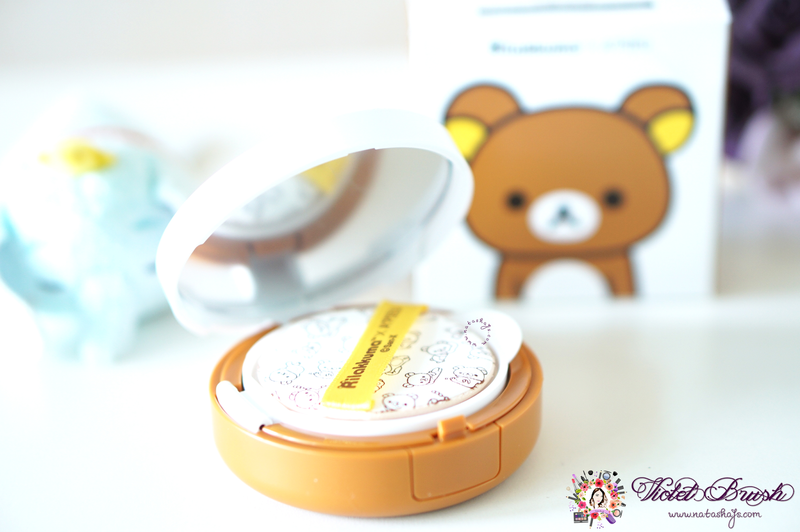 And again, the cushion case is nothing special, only the Rilakkuma makes it extra-uber-cute. Comparing the two puffs included, the cushion's Air in Puff is slightly thicker and fluffier than the tension's puff. I feel like the tension's puff is like a cheap puff because it's too thin and I feel like it could tear easily. It also absorbs quite a lot of product while the cushion's Air in Puff absorbs less product. 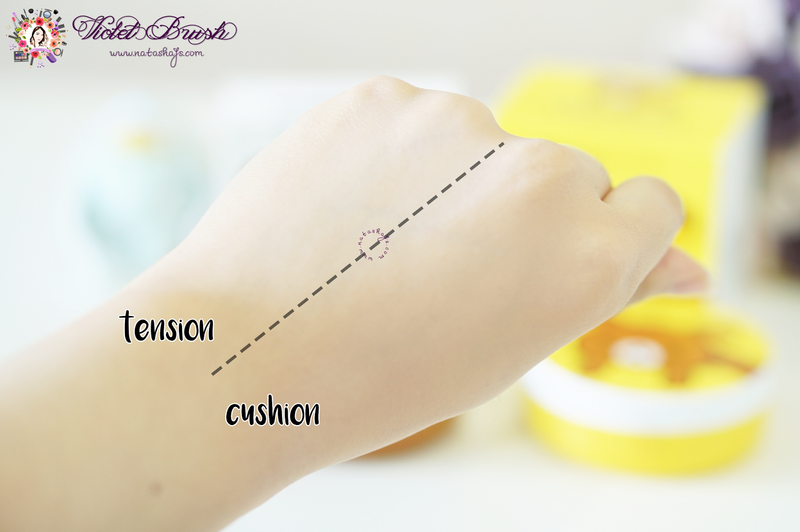 We've come to the main difference between tension pact and cushion. 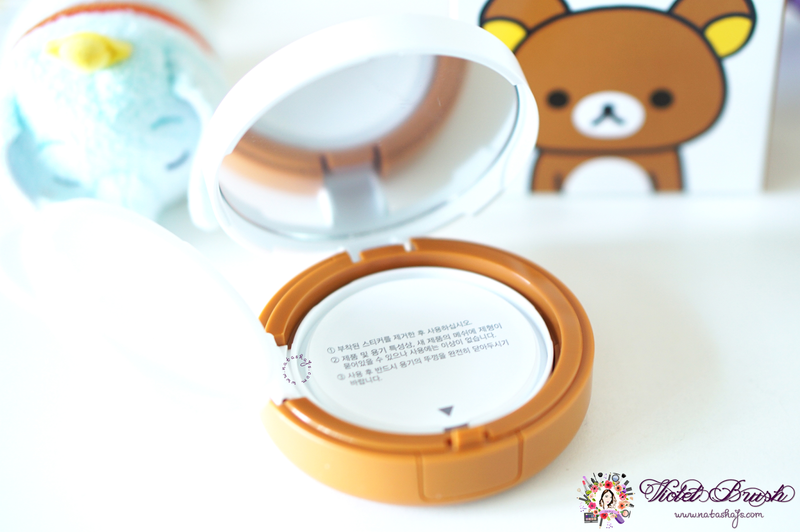 The cushion compacts houses a sponge soaked with either BB cream or foundation or tinted moisturizer or any other formula while the tension pact houses a container filled with the product and closed with a mesh net. We're all familiar already with cushions but tension pact? I think tension pact hasn't gained its popularity outside Korea, yet. I personally think that with this kind of form, tension pacts could contain more products rather than cushion compacts. However, if you're used to using cushions, be careful when pressing down unto the tension pact because you could be taking too much product, like I did the first time, because basically the product isn't soaked into anything, it's just the product under that mesh net. While some other brands could have different actual shade between products with same shade number (e.g. brand X's product A shade 23 is different with brand X's product B shade 23 when applied), I was pretty happy when I applied half A'Pieu Air Fit Tension Pact and half A'Pieu Air Fit Cushion XP on my hand, also my face, and I almost see no difference. As seen on the photo, both don't really differ that much from each other. 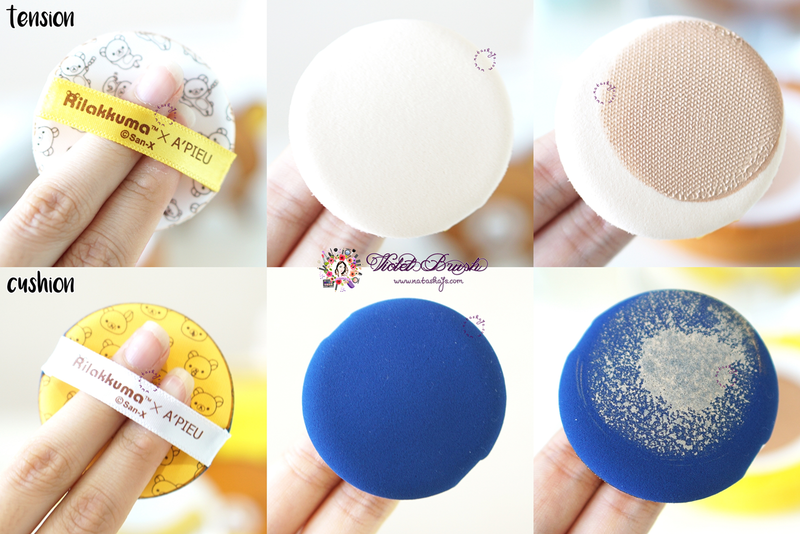 Both A'Pieu Air Fit Tension Pact and A'Pieu Air Fit Cushion XP have pretty nice coverage and do even out my uneven skin tone, living up to their claims. Both also don't feel heavy on the skin, they feel pretty light on the skin but not to the point of like wearing nothing. However, formula-wise, both are pretty different. Probably because A'Pieu Air Fit Tension Pact was launched just before the winter season, it is more on the moisturizing side, making it more suitable for those who has dry-combination and dry skin, like me. It finishes off not dewy neither matte but still makes my face looks glowing. 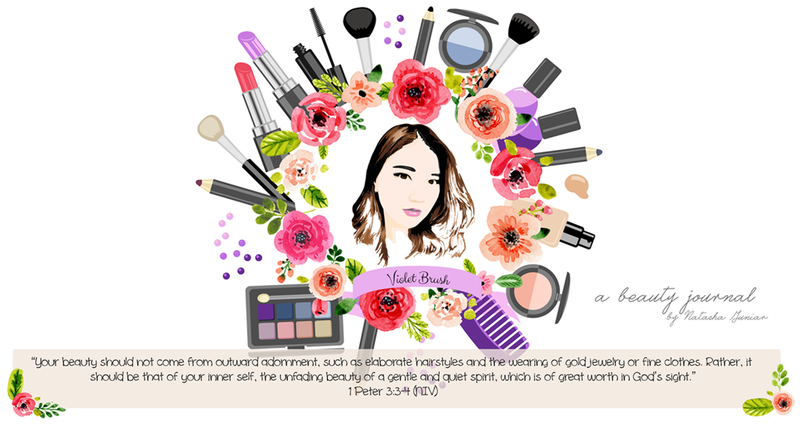 On my dry-combination skin, it lasts up to five hours before I need to retouch my nose area. 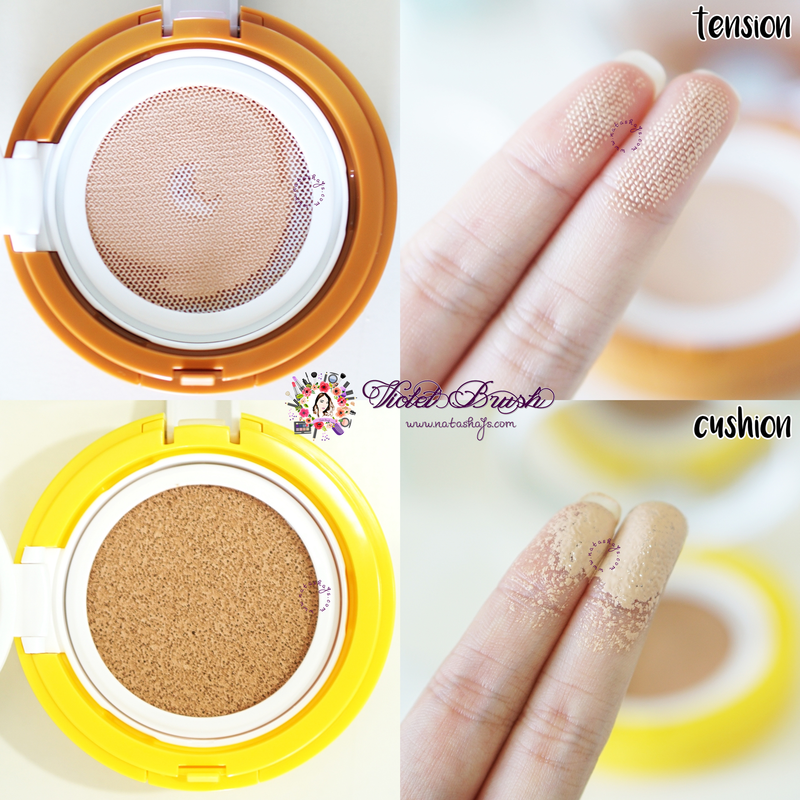 Speaking of the texture, the tension pact is more creamy compared to the cushion. 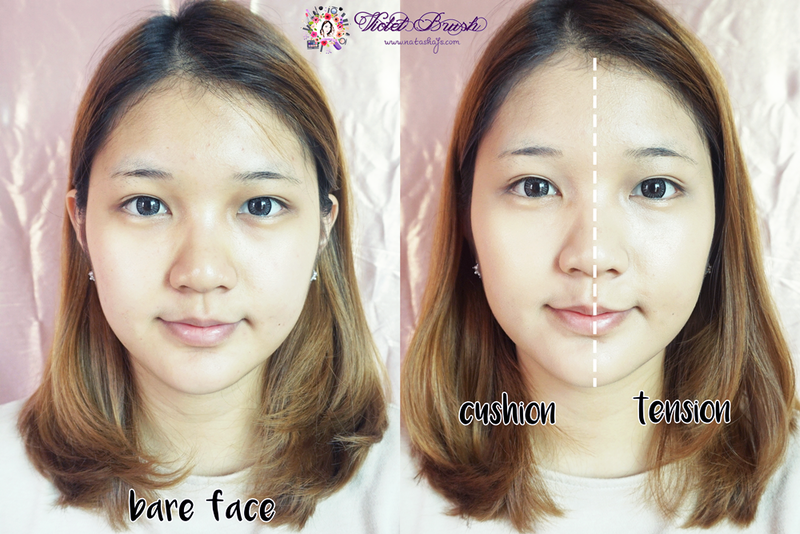 On the contrary, A'Pieu Air Fit Cushion XP is more suitable for normal to oily-combination skin since it finishes off semi-matte, though my skin still looks a tad bit glowing. After about 5 hours upon application, I could see dry patches on my nose area. I would love to try out other cushions and tension pacts but currently, these two are two of my favorites. Find this product on Althea or hit me up on Line@ to join my Pre-Order (will be opened on December).